After researching some few "obscene" images of the new evolution. 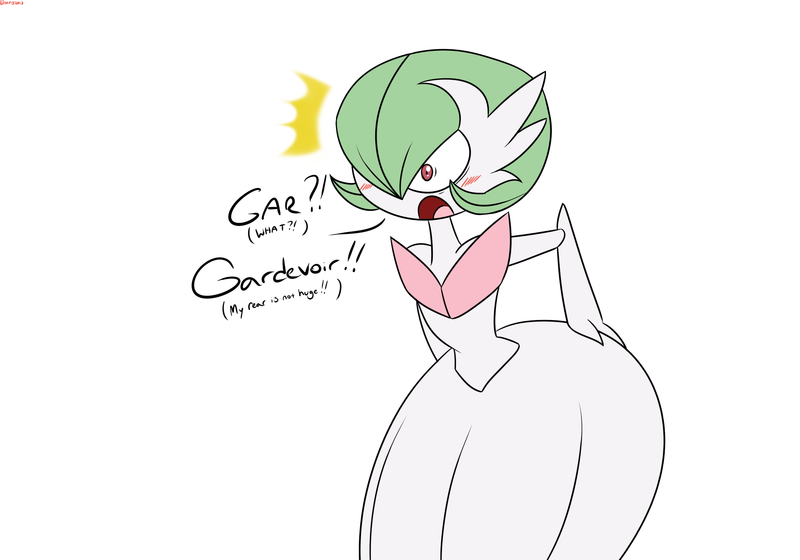 Gardevoir is quite flabbergasted and not in a good way, plus she would like all to know her buttocks are not huge by any means. It's bodacious and a Gallade magnet.